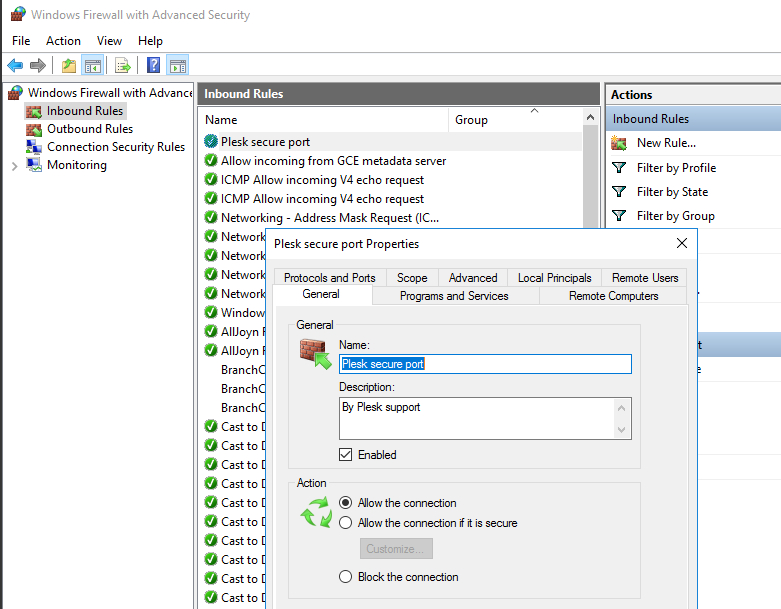 Port 8443 that is used by Plesk Administrative Interface is filtered with a firewall. Open port 8443 in firewall. Press Start > enter Windows Firewall with Advanced Security. Click Inbound Rules > New Rule..., select Port, 8443, Allow the connection, and apply it to all profiles. Note: If port 8443 is still filtered, check if there are any external firewalls. Contact your network administrator for further troubleshooting.